Midnight Sun is a phenomenon where the Sun remains visible at midnight. This phenomenon occurs in the summer months north of Arctic Circle, and south of the Antarctic Circle. The apparent motion of the Sun in both polar regions is different. In the north polar region, the Sun moves from left to right. On the other hand, in Antarctica, the Sun moves from right to left. 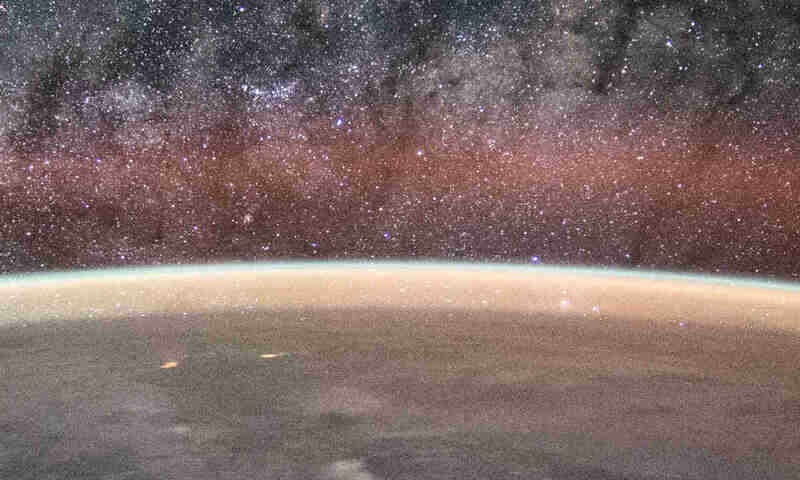 There is no explanation other than that Earth is a sphere. 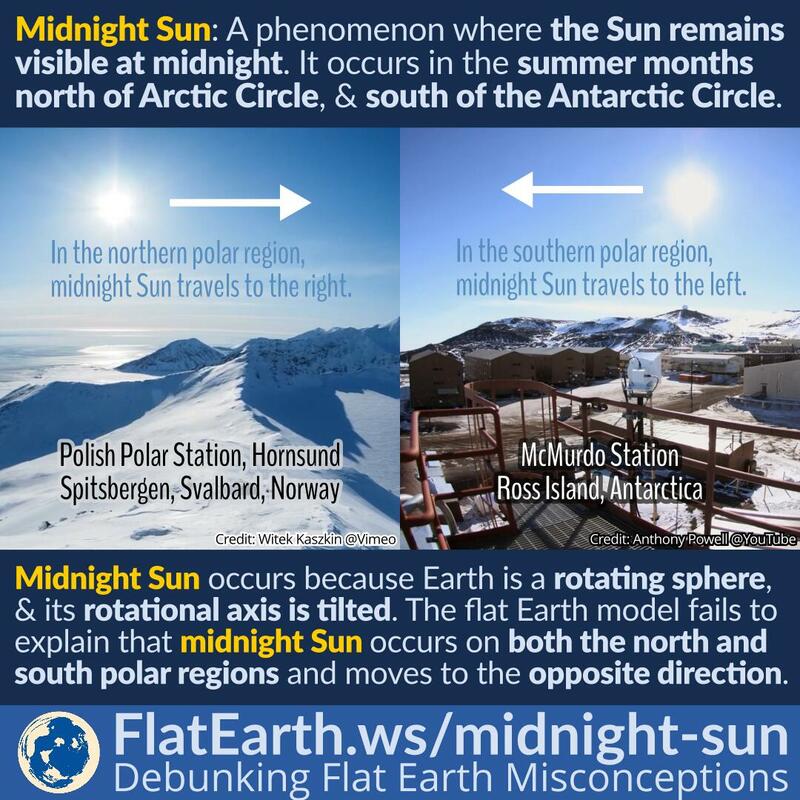 The flat-Earth model can explain the occurrence of the northern midnight sun. But it fails to explain that the identical phenomenon also occurs in the southern polar region, but moves to the opposite direction. 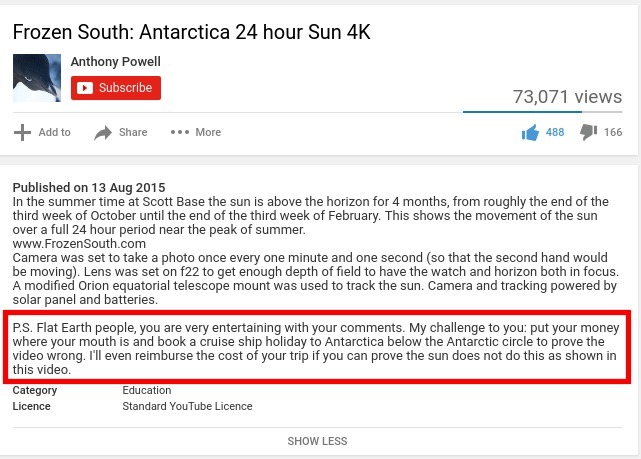 Anthony Powell —who made the famous Antarctic midnight-sun video on YouTube— is offering a free holiday to Antarctica for anyone who can prove there is no midnight sun in Antarctica.